. Also, do not hesitate asking for any other tourist service. Bus transfers: In North Rhine-Westphalia and in the populated urban area of the Ruhr, you will find a substantial service of shuttles and notice an intense traffic that secures transits for professionals and tourists. In view of meeting the increasing demands for transfers, the company Germany Bus partnered up with several bus rental companies thus developing an important network in the Ruhr basin and in the rest of North Rhine-Westphalia in order to satisfy the needs for buses with driver. Moreover, we offer transfers by bus from North Rhine-Westphalia anywhere to Germany and the other way around. Sightseeing tours: There are many hangouts worth visiting during your tourist trips by bus. Whether you want to go to Cologne, Dusseldorf, Aachen, Munster, Bochum, Essen, Dortmund, Duisburg or anywhere else in North Rhine-Westphalia, Germany Bus rental platform and its partners are at your disposal for any guided tour. We are proud to make available to you competent local guides in addition to the renting of a bus. Excursions by bus: You can book coaches with driver depending on your availabilities and preferences in North Rhine-Westphalia and its surroundings -Holland, Luxemburg, Belgium, France, Hessen or Rhineland-Palatinate. Considering the departure and arrival locations, Germany Bus' team will maximize your options by giving you the best advices and share its ideas for a pleasant and fruitful excursion. If you need further help, you can contact us any time. Travels by bus: Thanks to its partnership with the tour operator City Tours, Germany Bus is able to offer buses for travels in North Rhine-Westphalia and all across Europe. We can also plan your journeys by bus in North Rhine-Westphalia and complete the organization of a personalized program, not mentioning booking tickets for cultural events, a hotel, or ordering special menus for your group. North-Rhine Westphalia Bus: this coach booking company offers you bus hire in any city of North-Rhine Westphalia, including Düsseldorf, Cologne, Aachen, Bochum, Dortmund, Duisburg, Essen, Hamm, Oberhausen, Gelsenkirchen, Münster, Bonn, Bielefeld, Leverkusen, Detmold, and all other communities and municipalities in North-Rhine Westphalia. Düsseldorf bus rental: through this bus rental company, you can hire coaches with driver in Düsseldorf and entire North-Rhine Westphalia as well as for international long distance tours to France, Belgium, Netherlands, Luxembourg and all other countries of Europe. Cologne Bus: Their website displays information about the renting of buses of various sizes with driver for guided visits, transfers by bus in North Rhine-Westphalia as well as trips and excursions by bus in all Germany. Aachen Bus: Buses are available for visiting Aachen but also for excursions in Luxemburg, Belgium, Holland, and France. Bochum Bus: Thanks to Bochum Bus company, you can rent local buses or coaches from the Ruhr basin for transfers and guided tours. Dortmund Bus: This company has buses for rent in the Ruhr basin for guided visits in North Rhine-Westphalia, excursions in Germany and trips all over Europe. Duisburg Bus: For all of those who want to book buses for trips to Duisburg, this bus company proposes its services, comfortable buses and experienced drivers. Essen Bus: Essen Bus makes available any kind of vehicle for transfers from or to Essen as well as sightseeing tours by bus in Essen and across the North Rhine-Westphalia region. Hamm Bus: The company gives information concerning the renting of buses in the Ruhr basin and North Rhine-Westphalia. Oberhausen Bus: Oberhausen Bus gives information related to their offers: buses, minibuses or coaches for transfers and guided visits in the Ruhr basin as well as a complete inventory of all the bus rental companies in Europe. 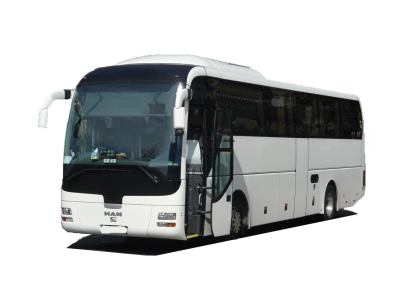 Gelsenkirchen Bus: This company was created on the outcome of cooperation between several bus rental companies from the Ruhr basin and the operator City Tours active in Europe which takes care of the renting of buses and minibuses with driver for any kind of trip. Hire buses in Münster: through the Münster charter bus service, passengers can hire coaches with conductor for any type of transfer and sightseeing tour in North-Rhine Westphalia, Lower Saxony and other parts of Germany. Motorcoach rental in Bonn: order a quotation for your individual motorcoach hire in Bonn, or for a sightseeing bus trip in North-Rhine Westphalia. Bielefeld charter buses: get your private bus in Bielefeld to use it for tailor-made sightseeing tours in North-Rhine Westphalia and coach trave itineraries around Germany and entire Europe. Rent buses in Leverkusen: the Leverkusen bus reservation office provides customers with chauffeur-driven buses from North-Rhine Westphalia for any kind of imaginable bus transfer, bus tour or bus journey in Germany. Bus booking in Detmold: buses of all sizes with reliable driver for individual, tailor-made coach tours and bus transfers in Detmold, surrounding North-Rhine Westphalia and entire Germany.
. Our team will make everything possible to answer shortly and come up with a suitable offer for any kind of trip in North Rhine-Westphalia by van or bus!